My color combo inspiration continues, with today's fall/feminine pairing of mustard & peachy pink. Uniquely enough, my new K+K "Lacey" sunglasses seem to have a subtle blend of these very shades. 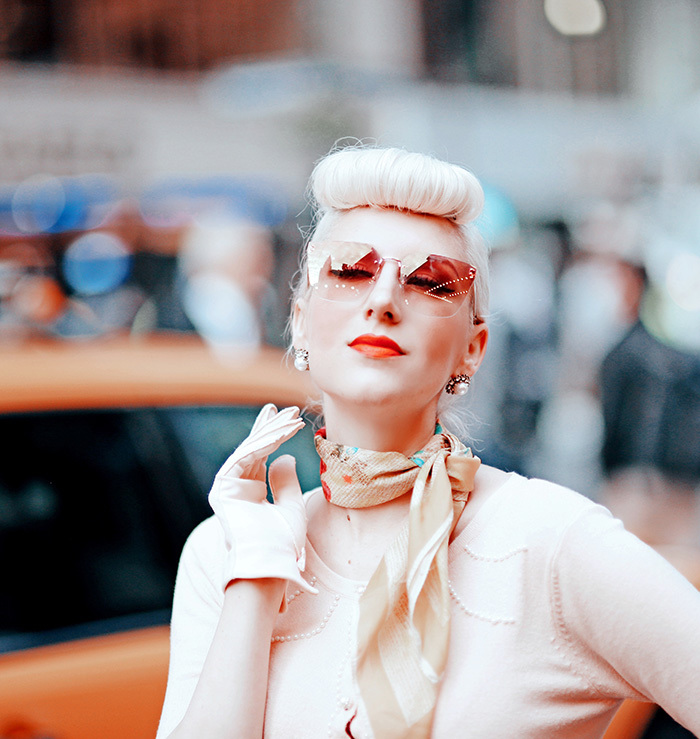 The pink lenses have a strong yellow tint, providing a fun retro flare mixed with modern. Of course, the taxis of NYC provide a nostalgic backdrop for a yellow ensemble!